Take your Agile Expertise to next level. 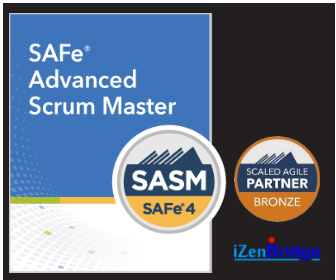 Advancing Scrum Master servant leadership with the Scaled Agile Framework (SAFe®) with SAFe® 4 Advanced Scrum Master Certification Based on version 4.6 of SAFe. Are you a scrum master looking to a take a leadership role in your team? Do you see yourself facilitating Agile team, and help your enterprise succeed in Scaled Agile framework implementation? The course prepares the participants for cross team interactions in support for Scaled Framework implementation. 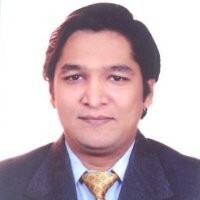 It enhances the Scrum paradigm with an introduction to scalable engineering and DevOps practices; the application of Kanban to facilitate the flow of value; and supporting interactions with architects, product management, and other critical stakeholders in the larger program and enterprise contexts. The ideal participants for this course are Scrum Masters, scrum team members, agile coaches and people who are working in scaled agile implementation teams as release train engineers or Agile program managers. Apply SAFe principles in real project environment for facilitation, enablement, and coaching for scrum of scrum or Scaled agile teams. Work at both team and program level for relentless improvements with focus on building high performance teams. Address anti-patterns of Agile and scrum. Facilitate the adoptions of engineering practices, DevOps, and Agile architecture. SAFe Advanced Scrum Master (SASM) certification. A SAFe Advanced Scrum Master certificate. A one-year certified membership as a SAFe Advanced Scrum Master. A SAFe Advanced Scrum Master branding kit with the SASM certification mark. 16 Strategic PDUs for PMI certificate renewal. Q. Do I need to renew SASM Certification? A. Yes, the SASM certificate needs to be renewed after one year. A. The annual cost of renewal is USD 195. You need to login to the Scaled Agile Community portal in order to renew. The renewal should happen before certification expiry.